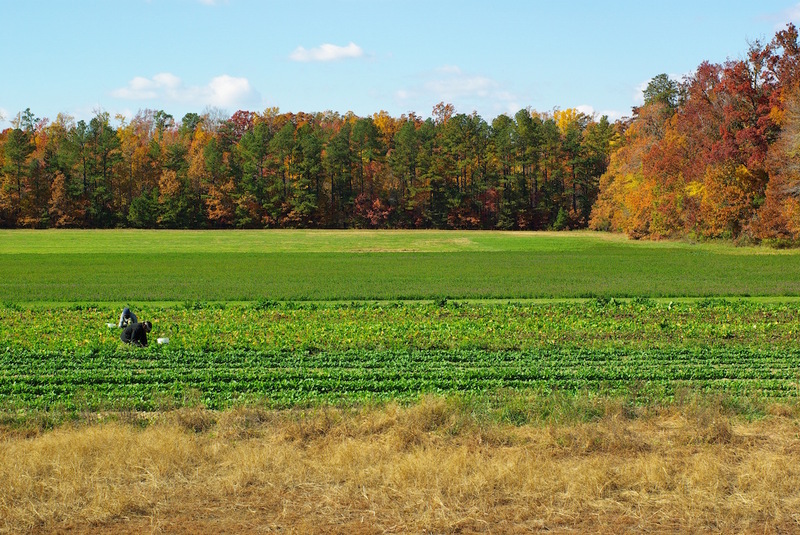 Our 104 acre farm is in St. Mary's County, Maryland, separated from the Chesapeake Bay near the mouth of the Potomac River by a small stand of trees – is 70 miles south of Washington, D.C. and just down the road from the Patuxent River Naval Air Station. 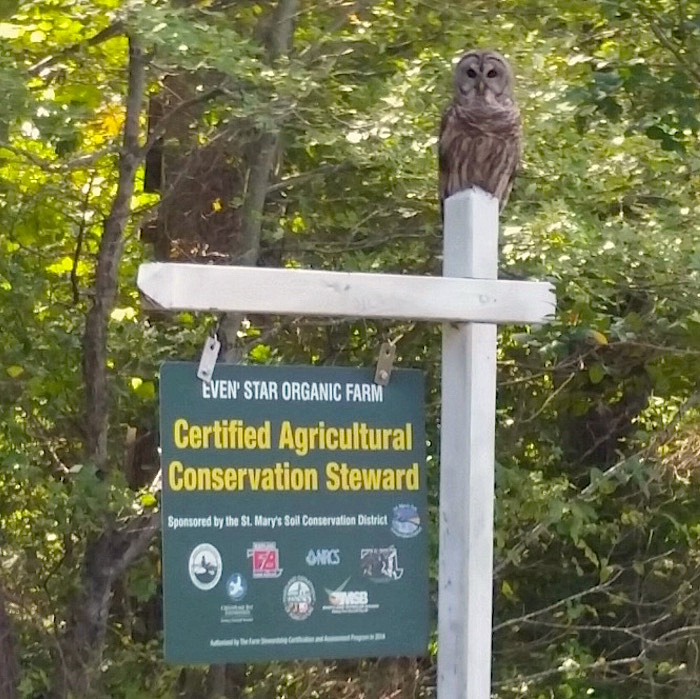 We purchased the land in 1996 and immediately transitioned it to become certified organic. 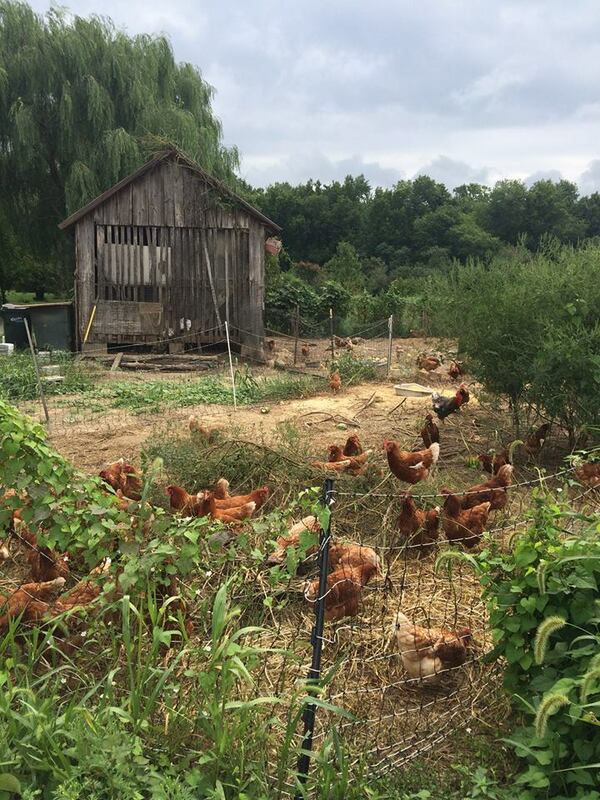 Of those CSAs that grow all of the foods that their members receive (i.e., the best and safest of CSA farms), we are the largest certified organic CSA in Maryland and the largest that winter-crops north of Florida. Our farm, crops, and stewardship focus on the importance that retail and wholesale customers place on eating locally grown, superbly flavored, and very safe foods. Our tomatoes, melons, and berries for selected for great taste above all else. We grow diverse greens and root vegetables in the cold months, when frequent frost and the icy winds of winter add great depth and sweetness to their flavors. We grow our crops slowly, with a minimum of certified organic fertilizers or sprays, in order to provide the safest possible meals for our family and our customers. Our farming ethic is based on a deep respect for the land and an equal respect for the time-proven farming tradition that focuses on crop diversity. These ancient approaches -and not government subsidies, crop insurance policies, or intensive pesticide use—are, for our business ,the way to avoid both the extreme risks and the solvency crisis that are destroying so many family farms in America. We manage our soil and water resources with gentle hands such that, through torrid drought or soggy flood or frigid winter, these fields always produce. When people buy from us, they are supporting these time-honored practices as well as getting foods greatly superior to that found in most supermarkets. We are primarily a vegetable, fruit, and flower farm. We adamantly free-range the 200 laying chickens we now have, believe that humane treatment of farm animals is the best moral path for people in our profession, and publicly and privately argue that factory livestock production is a travesty in every sense and should not even be called “farming”. We are much closer in ethics to the animal rights advocates than to those who defend concentrated animal feedlot operations. But we also believe in the ancient agricultural tradition of integrating small numbers of animals with many acres of pasture and vegetable production. Our hens eat all the crops that aren’t pretty enough or fresh enough for our human customers. Our hens supply small amounts of manure that we spread in the winter to help the next season’s tomato plants thrive. 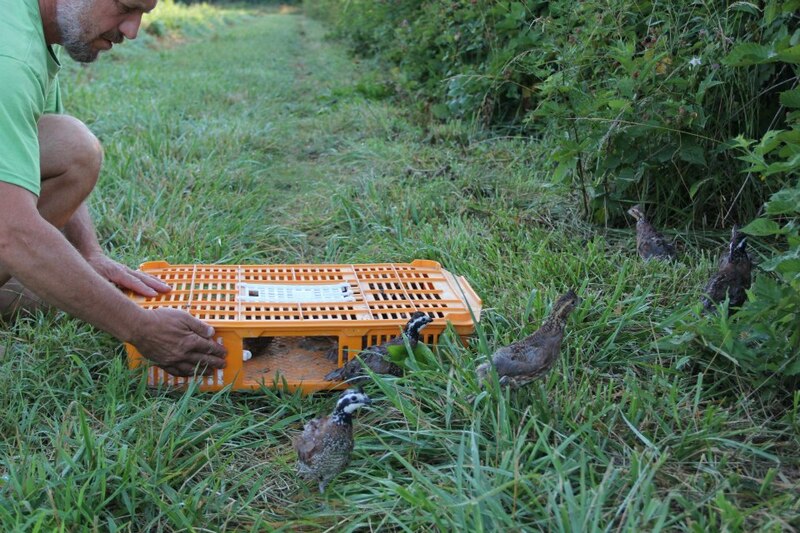 Our hens eat lots of insects and grubs, many of which would otherwise eventually find the crops. And our hens provide eggs of amazing quality to our family and to many customers. We ask any potential new CSA members who are closer to the PETA position than are we to refrain from arguments that oppose farm animals. Brett Grohsgal is a former chef with a master’s degree in soil science. To further his studies, he researched the tolerance of rice and cowpeas for toxic soil aluminum in the Amazon. 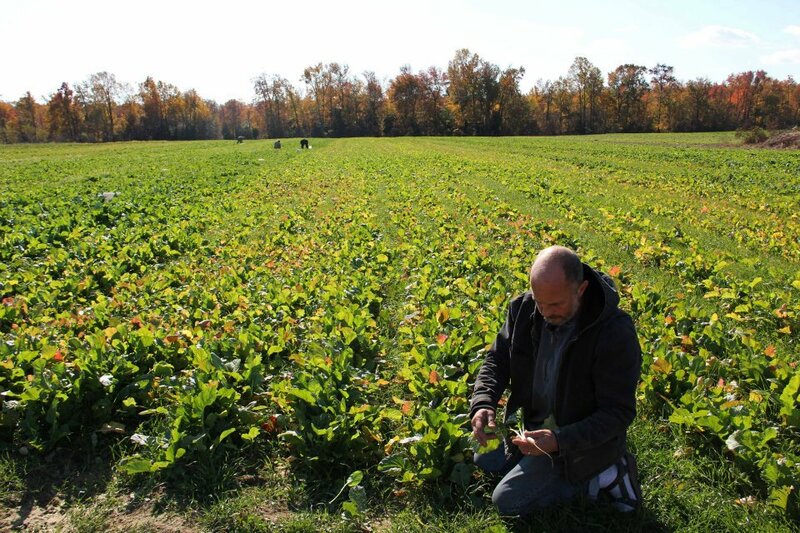 Before moving to St. Mary’s County, he was breeding winter-hardy arugula and other crops in a large garden in Arlington, Virginia. In fact, he was not just breeding them but studying and nursing them with the aim of producing the most flavorful summer tomatoes, arugula and other winter greens possible. He continues his genetic work on the farm. A chef for 22 years, he is also the co-author of two cookbooks. “The Farmer’s Kitchen” includes hundreds of recipes and tips for cooking and handling the bounty of local produce; “Dining with the Seasons: The Even’ Star Cookbook” details recipes, storage tips and descriptions of all that Even’ Star grows over the twelve months of the year. Christine Bergmark is responsible for the creative marketing components of Even’ Star Farm. Through her business, clb advising, llc, she works on community development, with an emphasis on economic, health, food, and environmental policy and issues. Currently, she is working on a food charter for the state of Maryland. She frequently conducts public speaking engagements. 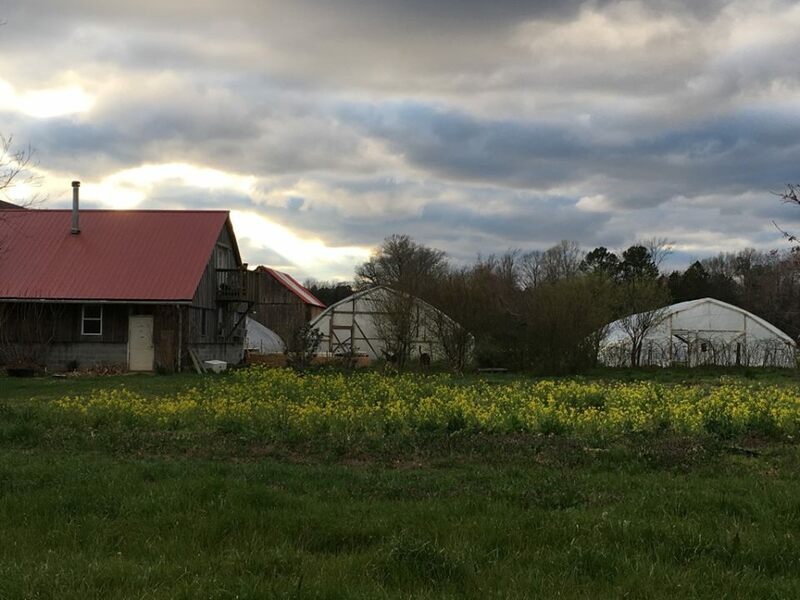 Together with partner, Sherry Jones, they offer periodic cooking classes, and community discussions, and events through the farm’s “Even Star Cooks” venture. Employees are trained in the complexities of stewardship, labor efficiency, and marketing so that they can eventually go on to successfully farm themselves. Crop genetics, ecosystem care, and soil management are a part of their training. The farm’s workers include many who will become the next generation of American farmers, and will farm with greater consideration for the land than is the rule with most agribusiness.